I am a big lover of massage balms and regularly use balms and soothers in a variety of my yoga classes as I find they can really encourage deep breathing and a sense of relaxation in the body. Recently I’ve had quite a few people ask me what my favourite one is, so I thought I’d write a little review on one of my absolute favourites, Gwdihw Muscle Soother. Gwdiwho!? I hear you cry! Yes, precisely. Gwdihw is pronounced Goody Hoo (it means ‘owl’ in Welsh, hence the branding!) and they very helpfully put this on their products to try and save confusion. They’re from North Wales, so they are throughly entitled to have a brand name that nobody can pronounce. I personally adore the fact that they stay true to their roots and use a Welsh name for their products. I’m a little biased since I’ve some Welsh blood running through my veins and therefore I do tend to have soft spot for all things from the land of rain, sheep and words without vowels. I’m really excited to announce that I have just launched an exclusive organic facial treatment at Down To Earth in North London. Using only L:A Bruket products, plus a few raw, natural organic ingredients, I have created what I believe to be a simple yet luxurious facial that balances the skin, replenishes moisture levels and will revitalise the face to leave you with naturally glowing skin. 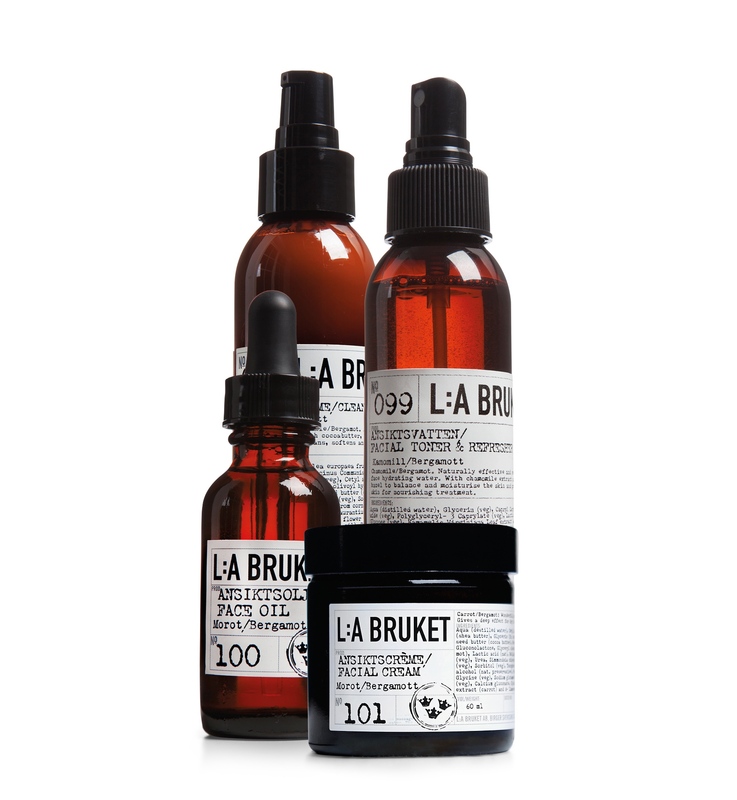 Originating from Sweden, L:A Bruket specialises in organic, botanical skincare that contains high-quality, natural ingredients. The Down To Earth facial is suitable for all skin types, including sensitive skin. The facial begins with a gentle double cleanse using organic coconut oil and a chamomile and bergamot L:A Bruket cleanser to remove any impurities from the skin and soften the face before being refreshed with a stimulating natural facial water and toner. Once the face is cleansed the skin will be gently exfoliated using the L:A Bruket Petitgrain facial scrub to remove impurities and smooth the surface of the skin. This is followed with a relaxing neck and facial massage using one of the L:A Bruket facial oils selected to suit your skin type. The face contains many pressure points which relate to every part of the body and this facial massage is designed to stimulate many of these points in order to rejuvenate not just the skin but also the muscles and lymphatic system of the body. To complete your facial treatment the signature L:A Bruket facial cream will be applied to heal and protect the skin before, using Indian Head Massage techniques, one final massage is given to the scalp to truly send you into the depths of relaxation and renewal. Should you choose a ‘luxury facial’ you will also receive a luxurious homemade and organic turmeric face treatment after your exfoliation and before your facial massage. This will be customised to suit your individual skin type and while your treatment gets to work you will enjoy a stress relieving arm and hand massage. Whether you’re a lover of natural products or are simply looking to relax and have your skin looked after, this is an opportunity to get some well-deserved pampering. Prices are £75 for the organic facial, and £100 for the organic luxury facial. To book in simply contact Down To Earth and they will find a suitable time for you to come in and see me for a treatment.